The Trinidad and Tobago Carnival is one of the biggest attractions of this Caribbean nation. It happens every year, Monday through Tuesday in the 7th week before Easter. It’s a Christian religious festival in its nature, but it’s borrowed many features from other religions and cultures. 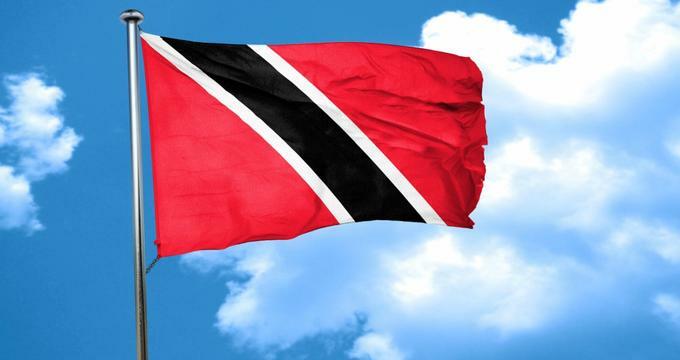 This isn’t a big surprise considering that the population of Trinidad and Tobago is made of people from different backgrounds – Indian, African, European, and so on. What makes this festival one of the biggest attractions in the whole of the Caribbean is that its participants often wear colorful costumes while performing interesting acts, such as stick-fighting, limbo dancing, and playing calypso music. Actually, saying that the feats they do are interesting would be an understatement. The participants that this festival seriously, giving their very best to impress the spectators. In fact, there’s a saying in Trinidad and Tobago that when they’re not celebrating the Carnival, they’re getting ready for it. Since the Europeans discovered the Americas, the islands of Trinidad and Tobago moved from the hand of one empire to another. The islands were first in the hands of the Spanish, although the French often used it as a station on their way to the islands they owned, like Martinique and the Grenadines, for example. In fact, many people from the French colonies moved to Trinidad and Tobago after the outbreak of the French Revolution in the late 18th century. At that time, the islands moved to the hands of the British Crown, who then started encouraging g the people from Indian subcontinent to make these islands their home. With so many different cultures in a relatively small place, new traditions started developing. One of those was The Trinidad and Tobago Carnival. It’s a consensus among the historians today that the Carnival was developed as a result of several separate traditions including the French masquerade and African Canboulay. The masquerades usually took place in the start of the fasting of Lent. These events were organized by the French slave-owners, who didn’t let the slaves take any part in them. That’s why the slaves, who had been taken from Africa, started organizing a celebration of their own. We’re talking about a sort of carnival called Canboulay, in which they used to dance and sing for days. In fact, African music had played a big part in the development of this tradition. Calypso, a genre brought by African slaves to the Caribbean particularly had a massive influence on this festival. The story about this music genre is pretty interesting – as the slaves weren’t permitted to speak to one another, they used Calypso to secretly mock the slave-owners. Another influence that the Canboulay festival had on the development on the Trinidad and Tobago Carnival is the stick fighting tradition. These events used to have an important place in the carnival throughout the 19th century, but the practice got banned in 1881, after the Canboulay Riots ensued. It took many decades before stick fighting was again introduced, but this time, it became a part of the Trinidad and Tobago Carnival. The Trinidad and Tobago Carnival is taking place every year on the streets of the nation’s capital, Port of Spain, as well as in many other cities and towns across the two islands. It’s been like that for decades. In fact, the last time the carnival wasn’t organized was during the World War Two. If traveling all the way to the south Caribbean seems too much of a hustle, you should know that you can take observe similar carnivals in many other parts of the world. · New York City's Labor Day Carnival – Held on the first Monday of September (on American Labor Day), the parade is a tradition that has been around since the 1920s. Because it’s one of the oldest Caribbean festivals on the planet, it had a big influence on the development of many other festivals around the globe. · Toronto's Caribana – The Peeks Toronto Caribbean Carnival as it’s its official name, is a festival that celebrates the Caribbean culture each year for more than half a century. It’s actually one of Toronto’s main tourist attraction, which brings over 2 million people to the city. Some of the most famous events of this carnival include the Parade of Bands, the Junior Carnival, and the King and Queen Show. · London's Notting Hill Carnival – Each year in August, literally thousands of people gather in London’s Notting Hill to observe one of the largest festivals that celebrate the Caribbean culture. Unlike the Trinidad and Tobago Carnival, where Calypso is the main music genre, this festival focuses more on the music originating in Jamaica, mainly reggae, ska, and dancehall. · Miami Carnival – Celebrating Caribbean culture, the carnival is held for several days each autumn. It takes place in several locations around the city, including Tamiami Park that’s located just south of the campus of the Florida International University. Apart from dancers and other performers dealing with traditional Caribbean arts, the festival also features celebrity performers. · Houston Caribfest – Although it’s based on the traditional Caribbean carnivals, this festival is not scheduled according to the date on which Easter falls. Instead, the Houston Caribfest happens every year during summer. It used to be held on different locations, but starting from this year, the festival will take place at the Bayou City Event Center, in the south part of the city.